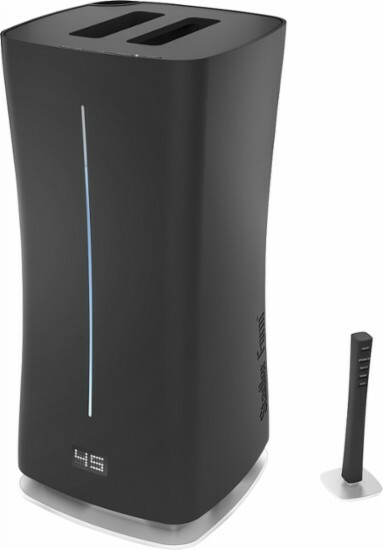 A Quality Portable Stand Up Tower-Style Large Room Warm & Cool Mist Humidifier that Quietly and Safely Delivers a Perfect, Filtered Mist of Clean Moisture to The Air, with Wireless Humidity Sensor, Aromatherapy Diffuser, Remote Control & Covers Up to 860 Square Feet! 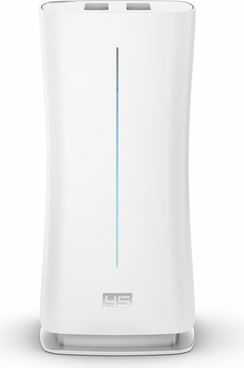 Unique Adaptive Humidity™ technology automatically adapts the humidification output when in Auto Mode to maintain your settings. Wireless humidity sensor inside the remote control ensures precise room humidity. Includes a Test Strip on the back of your manual to test your water source to see how often you will have to change your Demineralization Cartridge. Overall Product Weight 10 lb. When you need safe, clean, accurate humidification in a large room, you also want a unit that is attractive, provides useful features that make for easy use, and compact design that doesn't take up a lot of space. Stadler Form EVA is one of the best, top-rated large room cool and warm mist ultrasonic humidifiers that meets all of these requirements for effective large room humidification, at an affordable discount price. Large Room Capacity Saves You Money: Stadler Form EVA covers up to 860 square feet with one unit, immediately saving you money by not having to buy several smaller ultrasonic humidifiers to cover a large room. 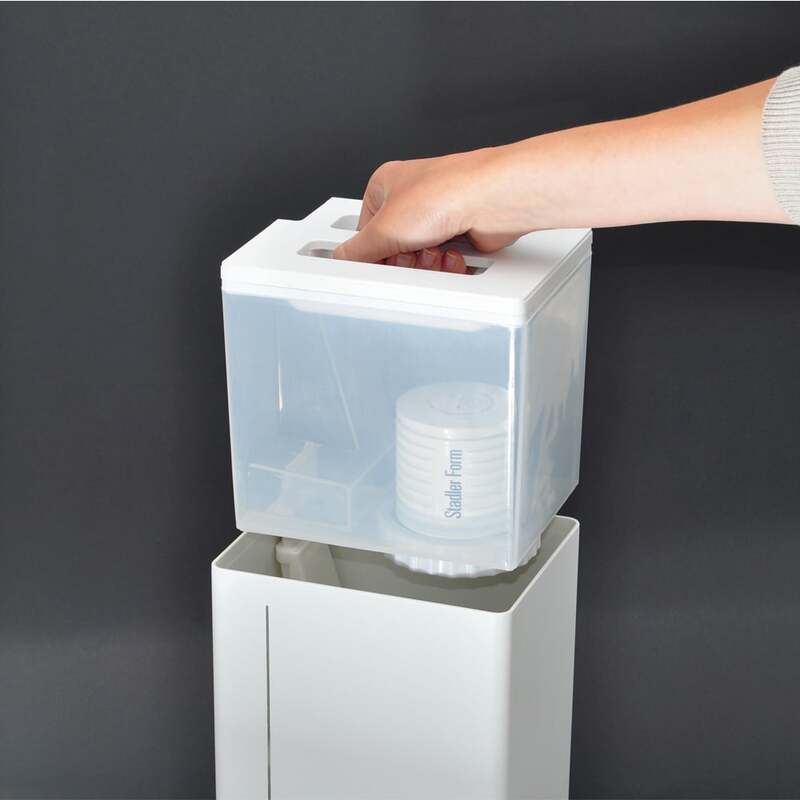 EVA also provides the option of portable cool or warm mist humidification right where you need it. EVA provides a cooling mist of moisture for warmer climates or warm mist when the room is too cool or when you want extra-fast room humidification as a warm mist diffuses into the air more quickly. VA is also aromatherapy capable--just put a few drops of your favorite essential oil or fragrance in EVA's frarance compartment and you're all set. More Accurate Humidity with Wireless Sensor: When in Auto mode, EVA will use it's unique top-rated Adaptive Humidity technology to accurately sense the humidity in the room and maintain your settings. 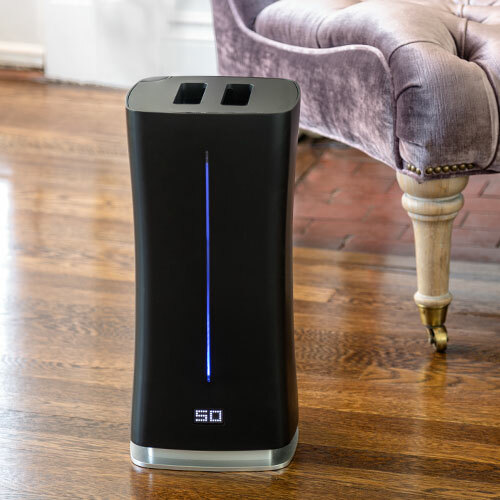 Unlike most other humidifiers, EVA samples humidity from the whole room, not just near the unit as most humidifiers do which can provide inaccurate humidity information to the humidifier. 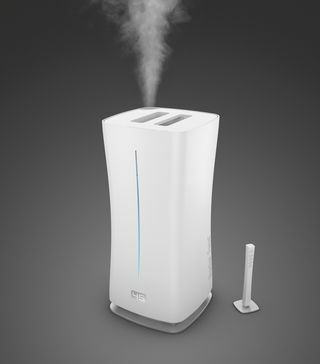 This is made possible with EVA's wireless humidity sensor located in the remote control, which when placed away from the humidifier, allows you to maintain perfect humidity in your room and maintain the allergy, asthma or dry air relief you want. 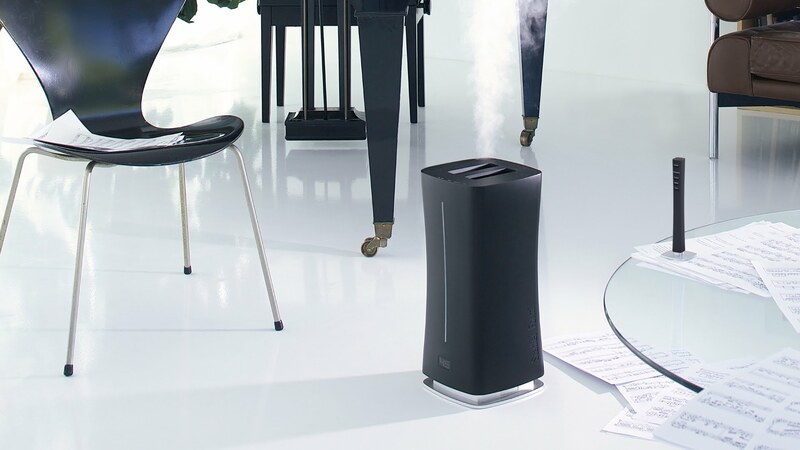 With it's stylish compact tower design, EVA is one of the best, high-performance warm and cool mist humidifier values on the market. Order yours today and get the dry air relief you deserve! Replacement Ionic Silver Cube—replace every 12 months. 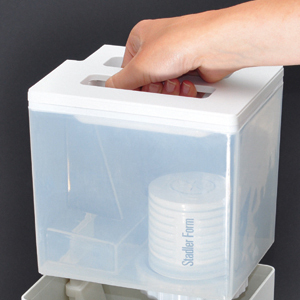 Replacement Filter Cartridges--removes minerals, prevents white dust--replace every 2-3 months. There are not many official online retailers of Stadler Form products and unfortunately the internet is full of scams. As a general rule of thumb, if the deal seems too good to be true, it probably is. Cheap cut rate online deals often end up being a used or refurbished unit, which do not come with Stadler Form's top rated warranties. Or even worse, you may end up buying a cheap discount product that doesn’t have the energy efficiency, features or warranties provided by top-rated Stadler Form products and systems. When you buy your money and energy saving Stadler Form products from us, you get a brand new unit, at the best possible price, with Blueair's amazing 5 year warranty. Our innovative partnership with Stadler Form allows us to ship directly from their warehouse, which cuts out the middle man and eliminates the high operating costs of traditional brick and mortar big box stores. These savings get passed directly to you, allowing us to offer brand new allergy and asthma symptom-eliminating Stadler Form products at the best possible everyday cheap discount online sales prices. And buying from us is definitely better than direct-if you buy direct, have to pay shipping. Buying from us, you always get fast free ground shipping as our thanks to you for shopping with us.